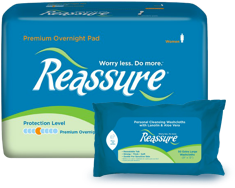 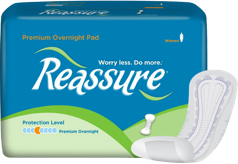 The Reassure Extra Coverage Pad, Overnight, keeps your skin feeling fresh and dry as the quilted Soft-Skin lining quickly channels away wetness, while Gel-Dry polymer locks it away preventing leaks and odor. 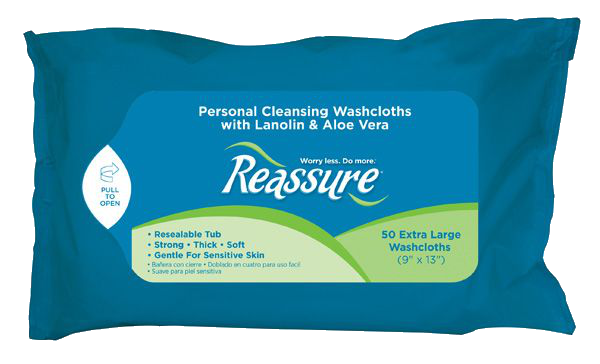 Keeps your skin feeling fresh and dry as the quilted Soft-Skin lining quickly channels away wetness, while Gel-Dry polymer locks it away preventing leaks and odor. 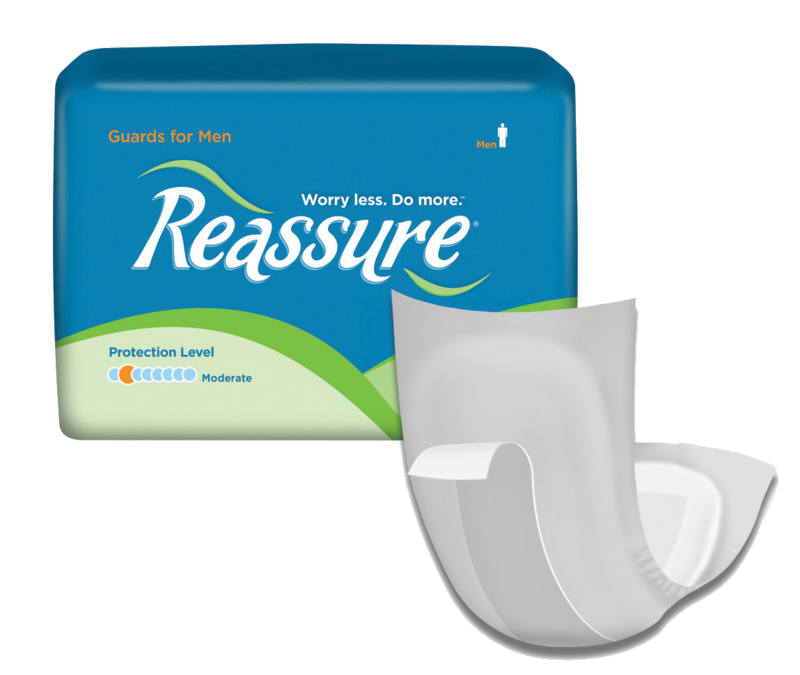 Contoured design &ndash; wider in the back providing secure protection when lying down.